Eat at a participating restaurant. Pay with a credit card registered to an airline program. Earn five frequent flyer miles per dollar spent, including tax and tip. That’s how dining-for-miles works in most larger U.S. frequent flyer programs. It’s an easy way to earn a fairly generous mileage payout for something you’d do anyway. And, for those worried about expiring miles, it’s a handy way to keep an account active. 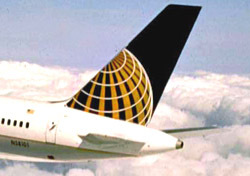 Although each airline has its own branded version, the underlying program is run by Rewards Network (formerly iDine), so the participating restaurants are essentially the same whether you elect to earn miles in the program of American, Continental, Delta, or any other major airline. Here in Los Angeles where I live, there are plenty of good restaurants that participate in the Rewards Network program, and I earn miles in my preferred airline program for at least one meal weekly. But other cities have weaker restaurant lineups. And outside metropolitan areas, the pickings can be slim. Still, the program works well for many members of many different mileage programs. It came as a surprise, therefore, when Continental announced that, after October 31, OnePass members will no longer be able to earn miles for dining. So on November 1, Continental’s will be the only major program without a dining-for-miles feature. This will not be a deal-breaker for most OnePass members. No mileage program succeeds or fails on the basis of just one of its features. But it will be a loss to many mileage-earners. For OnePass members, the mileage menu is pretty straightforward: 1) Earn dining miles in the program while you still can; and 2) be sure to reregister your credit card on or before November 1 to earn miles in a different program after [[Continental_Airlines | Continental]] withdraws.